It is said that when it comes to State and royal ceremonies, no country does it as well as Britian, and when it comes to cars for such occasions, no vehicle – before or since – can compare with the Rolls-Royce Phantom V.
The Phantom V is a beautiful looking saloon, combining elegance, seriousness and a measure of imperiousness. 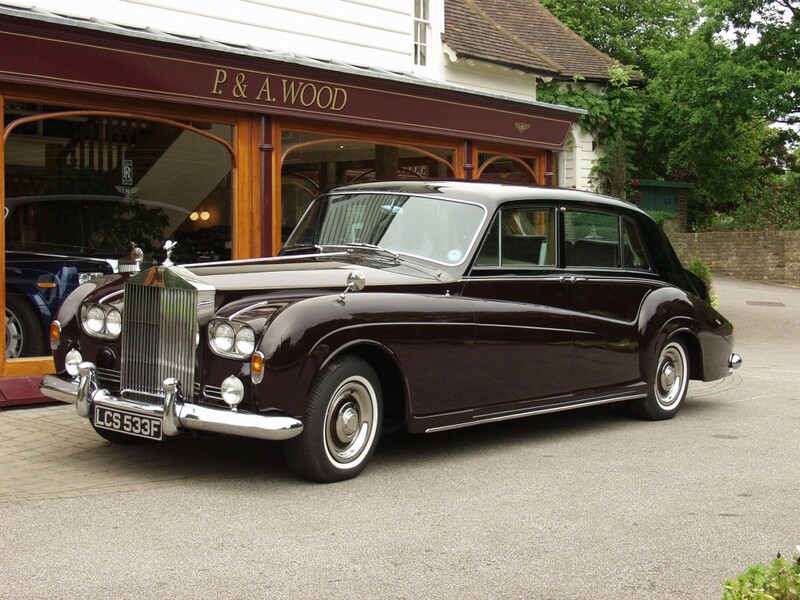 Phantom owners have included Queen Elizabeth II, Queen Elizabeth the Queen Mother, the Shah of Iran, the King of Norway, and the Governor of Hong Kong, while the colony was British. Did we mention ‘seriousness’? Not always: John Lennon bought a black one in 1965 and later had it painted in vivid Romany floral motifs, predominantly yellow. The more sombre model on show here was ordered from Edinburgh in 1967 for the CEO of the Royal Bank of Scotland. With around 220bhp and massive torque, these heavy, stately cars could go beyond 100mph when pushed. The steering was assisted and there were massive, servo-aided drum brakes all round. Front suspension was independent, with a live axle at the rear with adjustable dampers. The box-section chassis and drivetrains were built at Crewe, and bodies with many customer variations were made by James Young, Park Ward and H J Mulliner in a variety of styles including saloon, limousine, sedanca de ville and landaulette. There is no doubt that, seen many times carrying the Queen of England and other royals, the Phantom V exuded an unbeatable status, and indeed, over in Memphis, ‘The King’ bought one, too. Elvis Presley also chose James Young coachwork in silver. In all, 516 were built from 1959-68, palaces on wheels for those who appreciated the best.